Based on its recent analysis of the industrial packaging market, Frost & Sullivan recognises Peninsula Drums with the 2012 South African Product Differentiation Excellence Award. “This award highlights Peninsula Drums’ forward thinking and adoption of global best practices in the steel drum manufacturing industry,” noted Frost & Sullivan’s Chemicals Materials & Food Research Analyst, Kim Watson. Peninsula Drums is currently the only manufacturer of conical drums in Africa. This offering became available to end-user markets in May 2012. “Peninsula Drums’ conical drums are tapered in such a way that they can be packed inside each other for transport to customers whilst still empty, thus saving space and allowing for more drums to fit inside a container,” remarked Watson. “The cylindrical drums, offered by its competitors, lack this unique feature." Additionally, these conical drums also offer cost savings. They are an ideal solution for companies operating in neighbouring countries where steel drums are not manufactured. Such companies can import conical steel drums from South Africa in larger volumes than cylindrical equivalents. Another beneficial feature is the availability of these drums in various colours. This type of customisation allows companies to easily identify the contents of the drum. 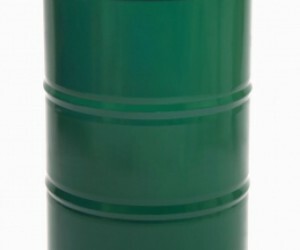 Peninsula’s Drum’s products are well suited to the food and beverage industry, as they have an exterior anti-corrosive film of paint which is highly recommended for the food industry, as well as an internal coating with a Food Grade Epoxy lining that meets FDA standards. 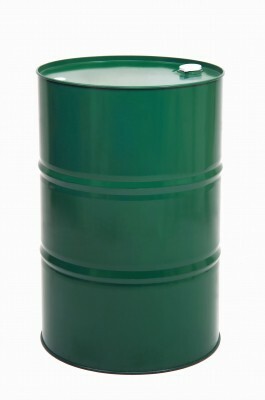 The food and beverage industry reuse their steel drums for certain products. In this context, Peninsula Drums is the only steel drum manufacturing company that offers a reconditioning service, whereby they deliver and collect new and used drums for reconditioning. Peninsula Drums continuously keeps abreast with global developments in industrial packaging. It effectively translates global best practices and technologies to the South African market. This has served to heighten the brand awareness of Peninsula Drums’s exceptional product offerings. Frost & Sullivan presents this award to the company demonstrating excellence in developing products with unique features, functionality, superior quality and complexity that support customisation. The ability to effectively target market needs and brand perception of the uniqueness of the products also inspire the receipt of this award. As pioneers in the drum industry in Cape Town, South Africa, Peninsula Drums celebrates 20 years of manufacturing and reconditioning of 210 litre drums. We are once again at the forefront, leading the way when it comes to keeping abreast with our client’s requirements and specifications. Our commitment has seen the implementation of our new Conical Drum manufacturing line, the only Conical Drum Manufacturer in Africa, which has been operational since May 2012, intent on supplying nationally, throughout Africa and globally. Certified by the SABS (The South African Bureau of Standards), we supply major fruit concentrate, fruit juice, fruit pulp, edible oil and wine industries, as well as the petrochemical and paint industries, with Food Grade New and Reconditioned Open Top and Tight Head Drums. With our supply and delivery capability, we ensure our customers a superior product well within requested time frames.